Warning: This review contains spoilers for Man of Steel. I spent nearly all last weekend humming the theme from Superman. This was, of course, in preparation to go see Man of Steel last Sunday. I wouldn’t say I was excited about this movie, but I was certainly optimistic. Knowing that both Christopher Nolan and Zach Snyder were involved gave me hope that this wouldn’t be another disaster like Superman Returns. So on Sunday afternoon I happily hopped in my car and drove off to see what this latest Superman installment had to offer. Thankfully, there is plenty of good to say about this movie. First off there is the casting. With one exception, this movie boasts an outstanding cast. Even the small roles in this film were enjoyable to watch. Regular sci-fi movie and TV viewers will certainly recognize several character actors. A personal favorite of mine, Richard Schiff of West Wing fame, had a fantastic supporting role as Dr. Emil Hamilton. A couple of surprise performances really stood out in the leading roles. Chief among these is Kevin Costner as Jonathan Kent. His performance is all the best of Field of Dreams, with none of the debacle that was Waterworld. He demonstrates fabulous understanding of his character’s place in this world, acting as a guiding light for the young and unsure Clark. Russell Crowe also impresses as doomed Kryptonian scientist Jor-El. Even when he returns as a hologram, Crowe manages to project a solid screen presence. There was something quite fitting about watching these two outstanding fathers on Father’s Day. Diane Lane plays a very capable Martha Kent. Although one scene between Lane and a young Clark in his elementary school was awkward and a bit lacking, the scenes between adult Clark and his mother are fantastic. One in particular outside their home is both emotionally touching and visually quite appealing, with wonderful lighting from a seemingly endless sky. Although she is always the caring, loving mother, she is by no means a shrinking violet. Like many farm raised women, she also has a tough side that is harder than steel, appropriate given the man who is her adopted son. Is there a barber in the house?! Speaking of steel, tall and handsome, with a head of thick black hair (minus the Christopher Reeve curl, thank God), Henry Cavill certainly looks the part of the man himself, and convincingly steps into some pretty big tights left behind by a sizeable list of actors. The role of Superman is always a difficult one to play because in reality it’s actually two very different characters that look identical. In fact, previous films have considered casting two separate actors to play each half of Kal-el’s nature; but in this film, Cavill captures both personas very well. This Clark is written less like the Christopher Reeves’ Clark and more like Smallville’s Clark played by Tom Welling. Personally, I would have liked to see more of the awkward, bumbling, yet oh-so-loveable Clark Kent of the Daily Planet and am looking forward to seeing more of him in future films. Cavill’s portrayal focused mostly on the alienation Clark feels because his powers keep him from fitting in. While this was an important plot point in the evolution of Superman, it probably should have been less emphasized and drawn out. My only casting complaint comes in the form of Amy Adams as Lois Lane. Instead of having a spunky, devil-may-care attitude, Adams plays Lane with recklessness and disregard that is more than a little alarming. I regularly found myself asking why in Krypton Lois was doing something that no marginally sane person would ever attempt. I also found Adams to be an unconvincing romantic interest. Superman and Lois’s relationship is one of the staples of comic romance, and this film made it all feel rather unimpressive. The tone and visual aesthetic of the film definitely takes its cue from executive producer Christopher Nolan. While nowhere near as gloomy and sinister as the Dark Knight Trilogy, Man of Steel has a certain somewhat melancholy and muted quality that has not been seen in the other films in the Superman franchise. At times this makes it difficult to believe in the hope the film tries so desperately to convey. The one place this visual does work is in the death of Krypton. Watching the end of Superman’s home planet is truly heartbreaking, leaving me with a “there but for the grace of god” feeling. The destruction of Superman’s home planet is caused solely by the actions and inactions of its citizenry. It’s not too difficult to envision humanity reaching this same point if we are unwilling to stop thinking only of ourselves and our own immediate gain. The obvious hints at current events (some of which were only imagined at the time of filming) only make the message more poignant. Director Zach Snyder once again brings his own particular visual style to the screen which balances Nolan’s darker tone beautifully. Although I enjoyed Watchmen and Sucker Punch, they were both overwhelming at times. Man of Steel kept much of the same feel without the stimulus overload. The generous, though not indulgent, use of this aesthetic is brilliant. The best of these scenes was the conversation between Zod and Clark that takes place entirely in Clark’s head. Quickly shifting settings and costumes provides a dramatic element in what would otherwise just be a boring, clichéd villain monologue. The plot of Man of Steel revolves around the all too familiar origin of Superman, which at this point has been told and retold countless times. However, this is one of the best that I’ve ever seen; just short of Grant Morrison’s All-Star Superman. The decision to use General Zod as the villain, instead of the old fall back Lex Luthor (yes, I saw the Lex-Corp signs; nice touch), was inspired. Luthor, although Superman’s arch-nemesis, is a mere mortal man; not a believable threat to the near demi-god that is the Man of Steel. Zod, on the other hand, presents a threat that is physically equal to Superman and considerably more experienced. What I enjoyed most about Man of Steel is the little details. I loved the total beating that Superman takes at the hands of his fellow Kryptonians. Throughout his life, Clark has been forced to be a pacifist because of his abilities. While this eventually makes him the hero we know and love, it also means that until this point he has never been in a real fight. While Clark manages to hold his own because he has already adapted to Earth’s environment, it is obvious that the professional soldiers squaring off against him have a considerable advantage from experience. This leads me to watching young Clark acclimating to his powers and then later watching the newly arrived Kyptonians’ laborious on the fly adaptation. When Clark’s powers first manifested he was hardly able to control them and it took him many years to reach the level of mastery we see him demonstrate in the beginning of the film. The Phantom Zone prisoners however did not have this lifetime of practice with which to master their newfound powers. They were forced to adapt on a significantly advanced learning curve. The progression of Clark’s mastery of his power was made more believable by the Kryptonians’ struggle. The Kryptonians can’t even fly for most of the movie; instead they are forced to leap tall buildings in a single bound. Since this is a reboot of the Superman film franchise, there were obviously some changes made to the story to make it more relevant to modern audiences and to purge stuff that didn’t make sense or served no real purpose, and I was totally cool with them. Although it has been a part of the costume since the beginning, I’ve never been a big fan of the red trunks (or red briefs) on the outside of the costume. I shed no tears for their departure from the Superman mythos. One change that did disappoint me a bit was the death of Jonathan Kent. This is one of the pivotal events in the life of Clark Kent; often the one which ultimately leads to him to become Superman. Traditionally Clark’s father dies of a heart attack, something that Clark is powerless to prevent. In the updated version however, Kent dies in a tornado, refusing to allow Clark to save him for fear of exposing his son’s abilities. It makes the scene much more touching—the idea of yet another father sacrificing himself for Clark’s sake—but I think something is lost in the change. In the previous films, Kent’s death reminded the audience that even with his almost god-like powers, Superman is not omnipotent. Such a deep, personal loss gave us a sense of his humanity. The majority of the movie was fairly predictable, but for me, the end is where things came apart, all in one rather awful scene: Superman is forced to kill Zod to prevent him from killing more innocent people. I understand that from the standpoint of a non-fanboy this may have worked and even seemed to be a right choice, but all I could feel was vast disappointment. I am aware that the Superman of the comics has killed before, when the need has arisen, and that this isn’t that same Superman with seventy-five years of canon to support him. 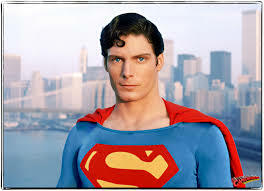 However, Superman is meant to inspire us to be better than we are; to appeal to those things that are best in humanity. Being that example means showing mercy. It means believing that someone can change, even if it comes with the risk that they fall back on their old ways. There is something decidedly wrong in a comic universe where Superman kills Zod while Batman allows Joker to live. Certainly both deserve death, and the chance for reforming either is almost non-existent, but that doesn’t mean it shouldn’t be tried. Maybe I can’t explain why it is okay for Superman to kill Nazis in the ‘40’s but it is not okay for him to kill Zod in 2013, but I do know that it represents a failing of Superman as an ideal. In killing Zod, for that brief moment, Superman no longer represents what we should all strive to be, but instead shows us the worst that humanity has to offer. And while maybe necessary, it is still a terrible waste. To me this plot twist demonstrated a lack of understanding of the character. Although the ending left a bad taste in my mouth, I, like Superman himself, am hopeful. There were some absolutely incredible moments in this film that have the potential to make this reboot of Superman everything Geekdom hopes and wants it to be. With a thoughtful tone and solid cast, this chapter of Man of Steel could finally have the magic that elevates DC films to the next level. This movie would have gotten a solid 3.5, maybe even 4 Death Stars, but with such a dramatic wrong turn at the ending, I just can’t bring myself to give it any more than 2.5 Death Stars. I look forward to the next installment of this new franchise with hope!